Beloved mother of Alex England. Loving daughter of Richard and Shirley nee Groenewold. 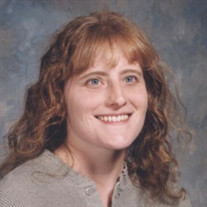 Sister of Jennifer L. (Michael) Prestage. The family of Ms. Carol Ann Luedtke England created this Life Tributes page to make it easy to share your memories.